A real engine operates at 75% of the efficiency of a Carnot engine operating between the same two temperature. This real engine has a power output of 100 W and discharge heat into the 27ºC low-temperature reservoir at a rate of 300 J/s. 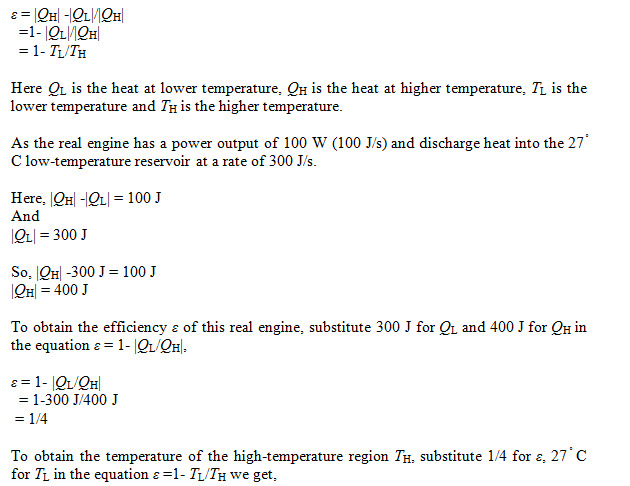 What is the temperature of the high-temperature reservoir? The correct option is (C) 127 ° C.